As you know ESO was launched as Subscription based MMO but developers decided to change the model and make the game B2P. ESO becomes B2P on the 17th of March 2015 for PC and Mac. Buy to Play model means that players need to purchase the game itself and can play for free without paying regular monthly fees. But unfortunately Buy to Play MMO games are not absolutely free. Yes, you can play without spending extra money, but you will not be able to access all the content and items. Crown Store is the main part of new Buy to Play model. You can access Crown Store after the launch of ESO: Tamriel Unlimited. The store can be opened inside the game. Players can purchase convenience, customization items (such as pets and mounts) and special DLCs there. Downloadable content (also known as DLC) consists of game packs with optional adventuring content (zones, quests, etc.) added to the game to enhance your game play experience should you choose. Developers say that all items and content in Crown Store are optional. They just enhance your play experience and are not required to be competitive in the game. It looks like this store will not sell so called “Pay-to-Win” items. All content and items you purchase in Crown Store can be used by your characters only. You can’t sell or trade these items and content to other players. You will need special currency called Crowns in order to make a purchase in Crown Store. This currency will also be added in Tamriel Unlimited update. The main difference from standard Gold is that you can’t find or loot Crowns inside the game. You can’t transfer Crowns to other players or trade inside the game using this currency. Note, all gold in your inventory will remain and will not disappear. Gold will still be useful while you trade with NPCs or other Players. Gold remains the only in-game currency, while Crowns become the only currency you can use in Crown Store. There is one important fact you need to know: when you switch from one megaserver to another your Crowns balance will also be carried over, but all the items, DLCs and content you have already purchased in Crown Store will not be transferred. You can access and use the items on the server where you have purchased them. Console players are automatically assigned to the megaserver and are not allowed to switch. New players get 500 crowns when they start playing. If you are current ESO subscriber you will get 500 Crowns when Tamriel Unlimited launches, plus 100 crowns for each 30-day period you have been an active subscriber. If you cancelled the subscription and want to return you will get 500 Crowns when Tamriel Unlimited launches, plus 100 crowns for each 30-day period you have been an active subscriber. You can purchase special Crown Packages at the ESO online store if you play on PC/Mac or via the Xbox Live or PSN stores. (PC/Mac players can access this store from backend here https://account.elderscrollsonline.com/store). This variant is the easiest. You need to visit ESO online store and purchase Crown package there. Right now the prices are unknown. We will update this post after more information becomes available. You can buy ESO Plus subscription and you will receive Crowns in the beginning of the subscription period. Right now player gets 1500 crowns for each 30-day period of ESO Plus membership. ESO Plus is a premium membership option. This subscription is not “must have”. You can play ESO without it but if you really want to access all content and DLCs you will need this subscription. Bonuses Exclusive character progression bonuses for the duration of membership. As you see the only difference is the amount of Crowns you receive in the beginning of the period. It is unusual, that all Membership plans offer the same amount of Crowns per 30 days and same bonuses. ESO Plus in Elder Scrolls Online: Tamriel Unlimited is analog of subscription in ESO. You receive full access to the game and to all content. 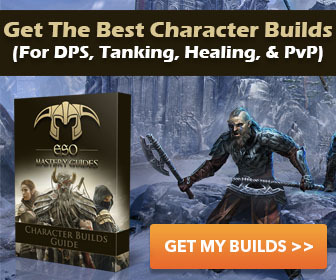 As you see you receive full access to all downloadable content when you purchase ESO Plus. But you will lose the access if you cancel the subscription. The only way to keep all the content is to spend Crowns and purchase DLCs forever. All purchased DLCs will stay with you. You will get 1500 crowns for each 30-day period of ESO Plus membership. These crowns will stay with you even if you cancel the subscription. All items, rewards and achievements will also stay with you. The most important question regarding Crown Store is about Pay to Win items. Many of the games that change their models to Free to Play or Buy to Play are suffering from so-called Pay to Win items or content. It becomes impossible to be competitive in such games without spending money in their in-game stores. Will ESO become Pay to Win? Developers told that there will not be any items that make you much stronger than other players. You can be competitive without any items or content from Crown Store. But anyway it looks like it will be more difficult to play without such content. For example the most interesting and rewarding dungeons can be locked for non-premium users, and you will need to purchase DLCs in order to access these dungeons.